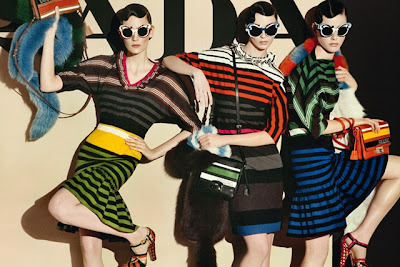 I'm kinda late in the Spring 2011 Collections but let me differ, Spring is just starting in some countries. So, it is just perfect. 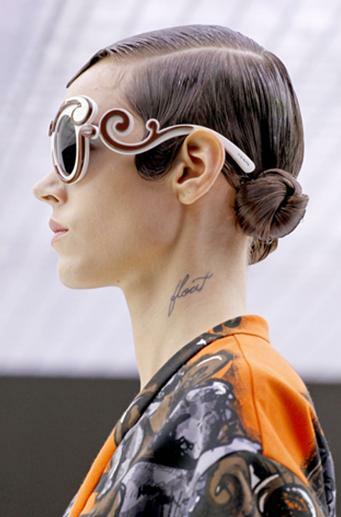 Another perfect thing, Prada's Spring Collection for 2011 entitled "Minimal Baroque". 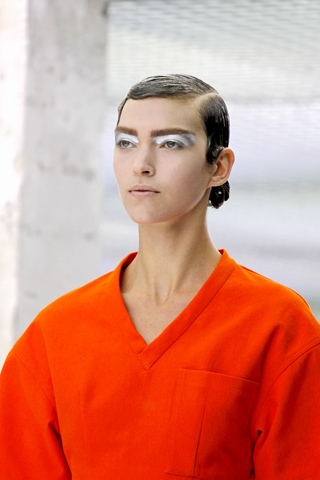 The collection was described by Miuccia as "brave, bold, and obvious". 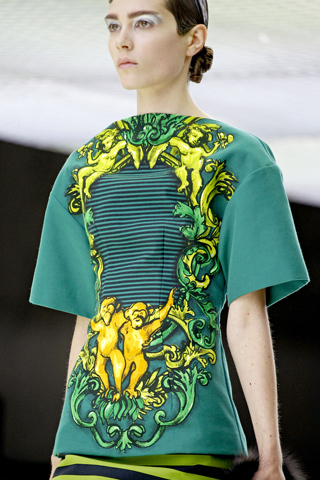 It features bright colors, cherubs, jungle prints, stripes, baroque curlicues, monkeys and bananas. 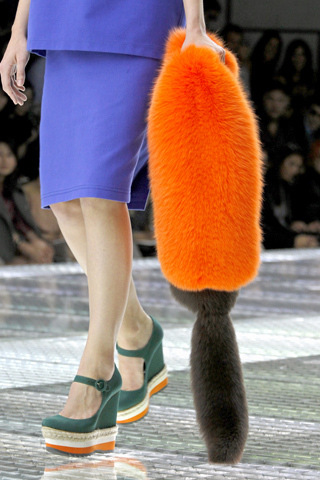 Not to mention the colored faux (!?!) 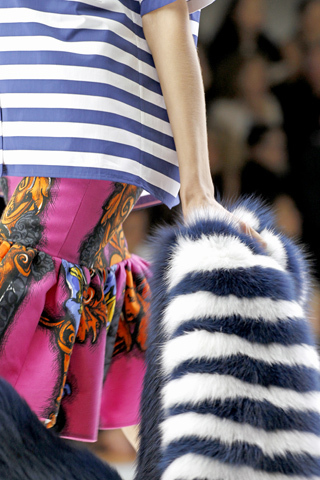 fur stoles. The entire collection has the perfect balance of minimalism and maximalism. The inspiration comes from the legendary jazz-age entertainer Josephine Baker. Want proof? Chech out these photos below. Model Arizona Muse opened the show in a bright Orange dress. Also featured are comfy-looking wedges and the aforementioned fur stole. 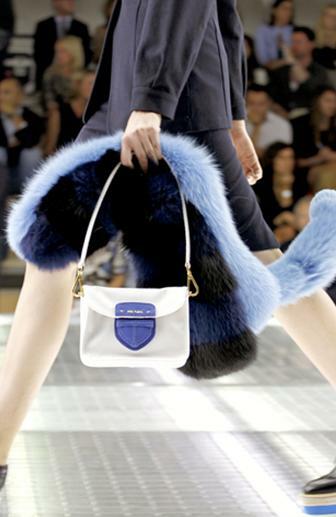 Is this the next "It" bag? Although it seems that these wouldn't be available for retail. Stripes is always a good thing. 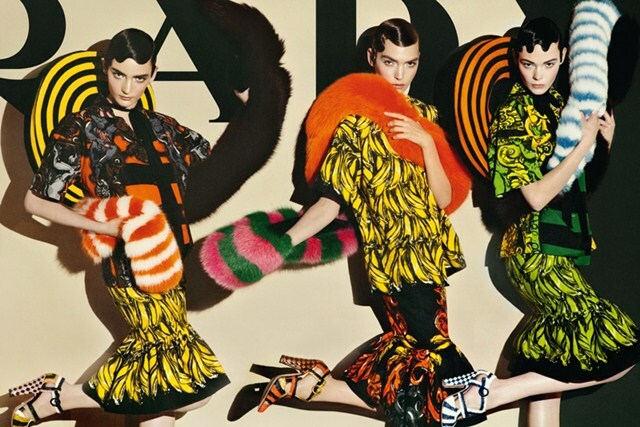 Fortunately, I found the entire runway show on Prada's channel on Youtube. Here is the video. One more thing, more like two more! Also from Youtube, I got the fashion video ad of the collection plus a backstage video.